Communication skills are critical to being an effective leader, but they are seldom the reason people are promoted to leadership positions. 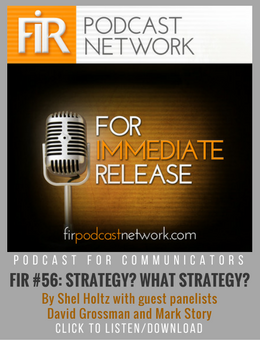 Even the most personable and engaging leaders can benefit from knowing more about how to strategically use communications to advance their ideas or align their people around a common goal and drive them to action on behalf of the business. In our work with multiple organizations, we’ve found it’s not unusual to have a disconnect between leaders’ perceptions of their communications effectiveness and the reality seen – and felt – by their employees. More than a few leaders are overconfident in their communication abilities and need help to understand more clearly where their strengths and challenges lie. If you ask their teams, these leaders will get lower marks than they’d expect in critical communication areas such as setting context for their goals or communicating in a timely, relevant way to employees. It’s human nature to think we’re doing better at skills than we are. So what does it take to help leaders communicate more effectively? You need to address this question at both the organizational level and the individual level. Observing organizations at global, national, regional and local levels, we’ve found that effective leadership communication is built on four key factors: accountability, training, tools and evaluation. Accountability and evaluation are the bookends of the organizational process for setting expectations and measuring results – in other words, getting things done. Training and tools provide leaders with what they need as individuals to understand how to communicate and do it well. Achieve greatness. Become a courageous communicator and leader. This eBook teaches leaders how to tackle leadership challenges, conquer fears head on, and learn how to lead better than ever before. Click here to get started today. 1. Accountability must be built in at multiple levels so leaders know what is expected of them. Leaders understand what “success” looks like, and they can perform effectively to meet the stated expectations. When set up best, accountability for communication is part of the overall performance management system and is specifically tied to compensation. In a global organization, accountability might rest with a local leader responsible for communicating with employees in a specific facility; with a regional or country leader who must interpret company strategy for a given geography, and with a global leader whose role includes aligning groups from diverse backgrounds around the company’s mission, vision and values. No matter what task, expectations are clearly outlined so leadership can step to the plate and are motivated to do so because it’s in their best interest. 2. Training ensures a leader builds the competence needed to customize and communicate critical information. This training could include programs to help them understand and leverage strategic communication, workshops in which they share best practices on typical communication defining moments such as how to use a communication toolkit on the organizational strategy, for example, or individualized coaching from counselors to provide feedback and help them hone their communications skills. Since leadership communication is a learned skill, this is a critical element. When leaders know better, they do better. 3. Tools provide leaders with what they need to get their message across to various audiences. These often are compiled in a standard kit that leaders can pull from and customize for communicating in different settings and circumstances, whether it is bullet points for a casual lunch with employees or a presentation on the company’s key goals for a sales event or all-staff meeting. There might also be a tool that highlights the key leadership behaviors that will have the most impact in delivering an important message, such as face-to-face or small-group communications vs. other vehicles. 4. Evaluation is critical because if something is measurable you can see evidence of change. Most, if not all, businesses today are run based on key metrics and data – it’s how decisions are made and strategy is developed. Communication is no different than marketing, sales, finance, operations, etc. when it comes to making decisions based on relevant data. Measurement ideally is focused on outcomes instead of output or activity through an assessment of how well the leader is meeting expectations. This is how the four steps come full circle. Evaluation can be in the form of a survey of employees or as a self-report of how well the leader thinks he or she is meeting the expectations. Self-reports are useful but are inherently biased and mask blind spots. We almost always rate ourselves higher on skill competence compared to what others might rate us. Best yet, this assessment is part of the larger performance development process inside your organization. Would your team be able to list the expectations to which you hold them accountable? Do you consistently measure how communications happens within your organization and adjust your strategy based on those metrics? Click below to download the eBook—The Courageous Communicator Quest—and learn how to lead like you were born to do it. You'll tackle leadership challenges, conquer fears head on, and learn how to lead better than ever before.